Musselburgh Racecourse is a 5 star visitor attraction just 6 miles from Edinburgh with excellent transport links and free parking. Why not consider holding your event here for something a bit different that combines superb hospitality with a unique setting. The recently refurbished Queens Stand, with its suites and balconies and panoramic views of the course, is available for race days and non race days alike. With or without the excitement of a photo finish and a flutter, Musselburgh Racecourse is a fabulous choice for corporate days out, private parties and weddings. 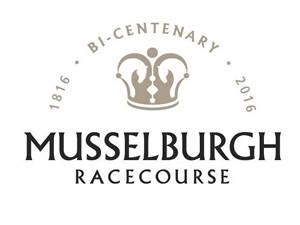 Musselburgh Racecourse is firmly established as one of the UK's most stylish racecourses and delivers a packed programme of exciting race day fixtures together with the best in venue hospitality, dining and customer service. Step through the gates and you will be immediately impressed by the quality of the racecourse facilities and sense the welcoming, professional atmosphere as racegoers gather to experience the thrill of a day's racing. All racecourse facilities are within easy reach and close proximity to the Parade Ring, winning post, places to eat and drink, betting options and entertainment. Our passion for horse racing is evident and has been delivered with style and flair since 1816. Development over the past 20 years has seen a transformation and extension of facilities and services available to visitors, owners, trainers, jockeys and horses. As a not-for-profit organisation, all income is invested back into Musselburgh Racecourse to ensure we continue to offer award-winning facilities. Probably the best kept secret in West Lothian, Almondell & Calderwood Country Park is a 220-acre park and 4 star visitor attraction! Blackness Castle stands by the Firth of Forth, at the port that served the royal burgh of Linlithgow in medieval times. Welcome to the Department of Magic - Edinburgh's magic themed Escape Rooms! Don your robe, grab a wand and help the Department defeat the Dark Lord. Dirleton Castle hase some of the oldest castle architecture surviving in Scotland – the de Vaux towers, built around 1240. Set in beautifully landscaped parkland overlooking the River Forth, this fascinating laird’s house near Linlithgow has been the home of the Dalyells for over 400 years. The Park offers beautiful woodland and riverside walks, play area, picnic areas with seating and a barbecue facility. Preston Mill is an architectural oddity that will beguile visitors as much as it delights painters and photographers.